Organic Peppermint Essential Oil, Babassu Oil, Organic Aloe and Vitamins strengthen elasticity of weak, brittle hair while smoothing splits ends and fly-aways for radiantly renewed bounce and length. 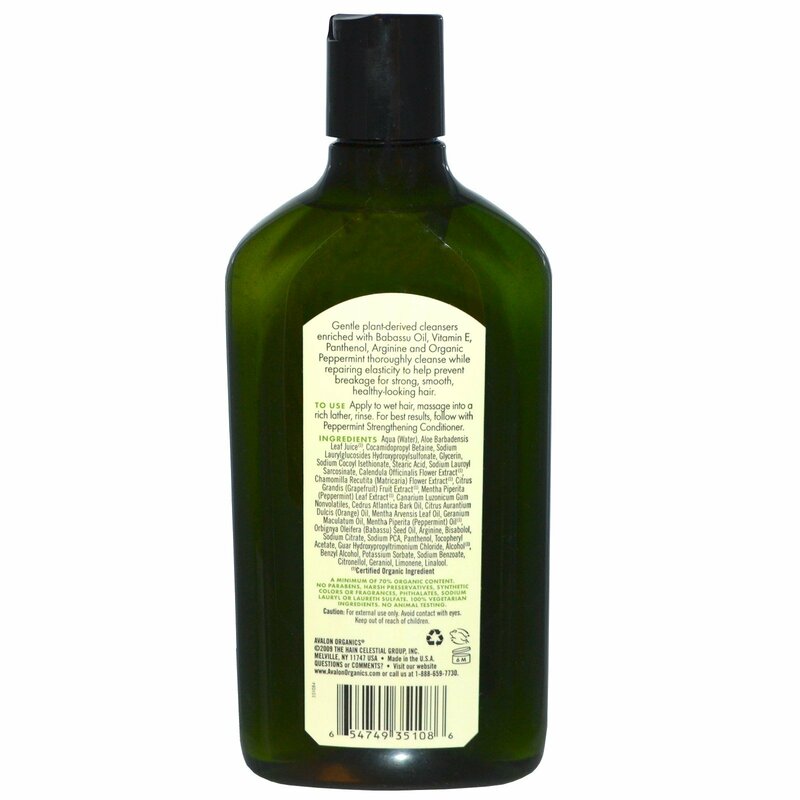 Gentle plant-derived cleansers enriched with Babassu Oil, Vitamin E, Panthenol, Arginine and Organic Peppermint thoroughly cleanse while repairing elasticity to help prevent breakage for strong, smooth, healthy-looking hair. Apply to wet hair, massage into a rich lather, rinse. 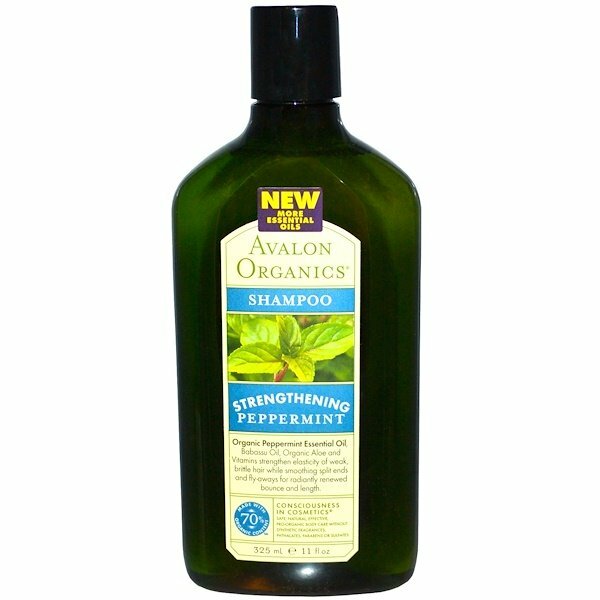 For best results, follow with Peppermint Strengthening Conditioner.